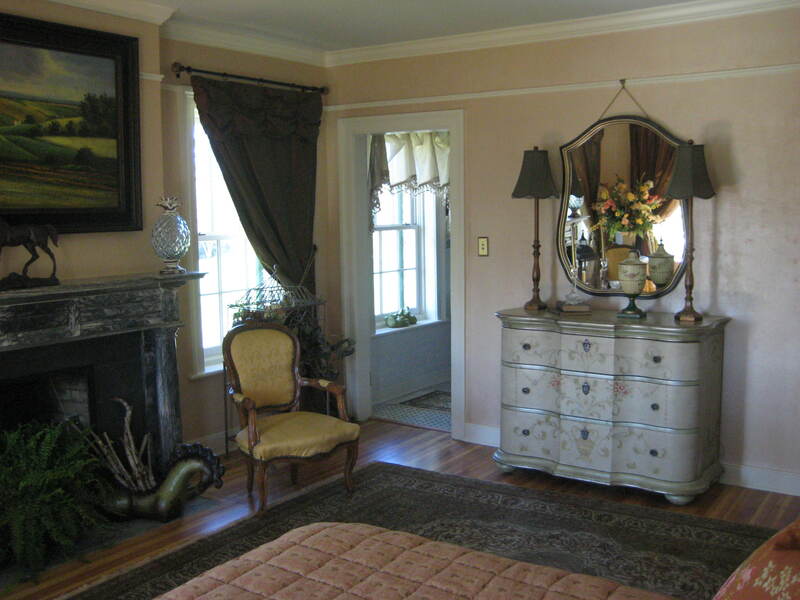 SHOWHOUSE 2011 – GUEST BEDROOM | Adventures In Styleland! I’ll start with a Thank You to Nathaniel Bette, he is a remarkable man, his vision, perseverance, unending patience and good nature made this year’s showhouse such a great project to be involved in. When I first saw the home back in October, I was inspired to do a period design. 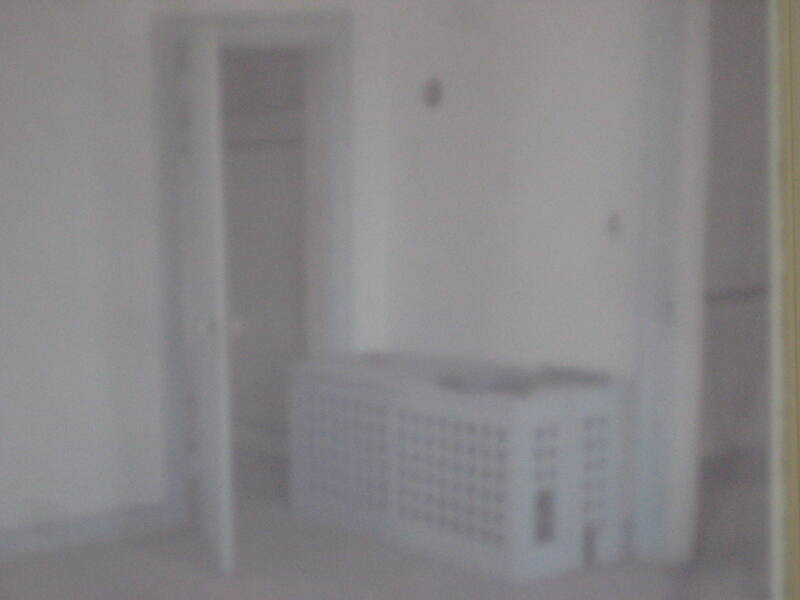 Here are some of my early pictures of the room, w hen I first learned I was going to do the Guest Bedroom! I loved the fireplace, recently one of the many people whose talents stand out in the restoration of this home, is a gentleman called CJ (who worked for Nate, over seeing many projects and also did the italian venetian plaster ceiling in the wine cellar), he mentioned that the marble used for the mantle on the fireplace was rare and is no longer available, it’s characteristics are similar to Grigio Carnico in color and veining, this is fireplace is stunning. The view from the Guest Room windows are of the Helderburg Mountains. 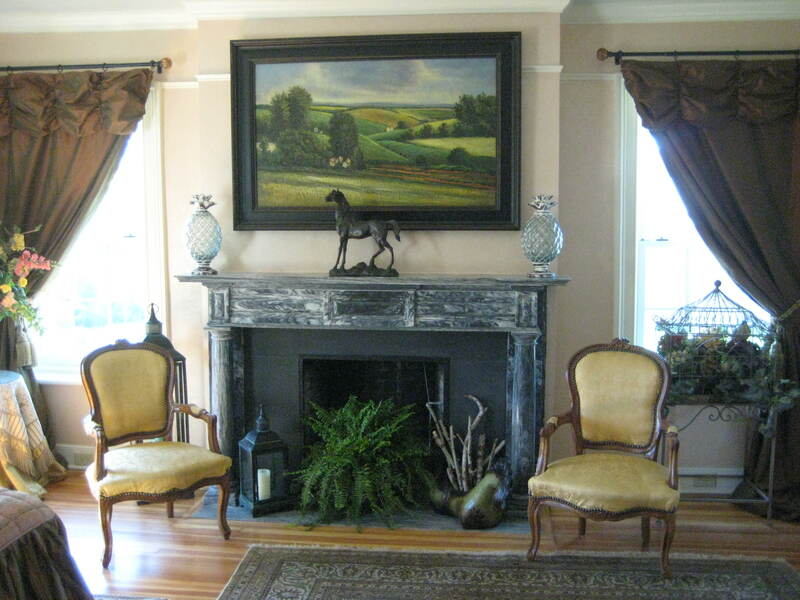 The artwork above the mantel mimics the hills and valley’s preceding the mountains , which is what you see from the endowment, out the south window of the room. 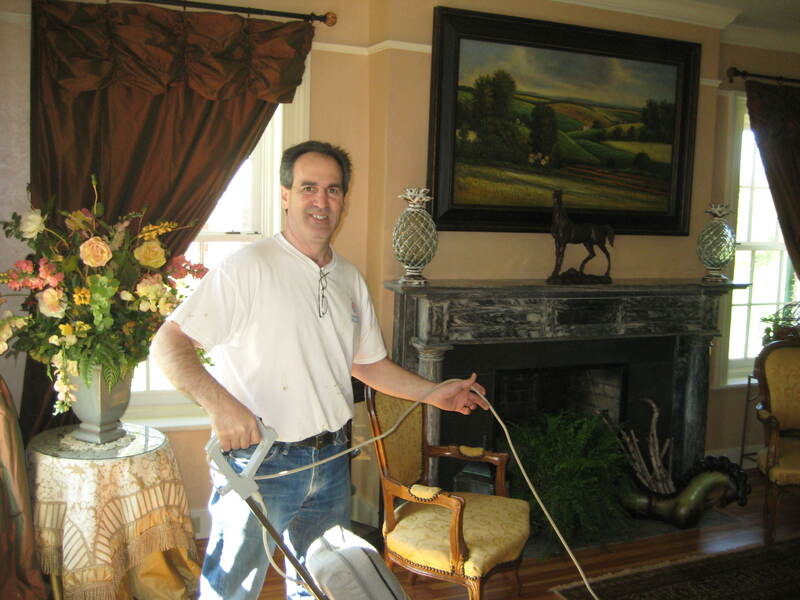 The walls were painted by Jason D’Amrbosi for me, he was again one of the many artisans that took part in this transformation. The color on the walls is Lunch Bag, from the Martha Stewart palate. Benjamin Moore donated the paint for this space, Thank you to Miller Paints in Latham, NY!! The finish we chose for the walls from Faux Effects, it is a troweled finish called Luster Stone. Working with Mary Beth was terrific. We adjusted the gradation of color in the Luster Stone with the tint formula (provided by Ben Moore) and the walls were transformed into suede, the subtle depth that I conjured up in my head was there… perfection. 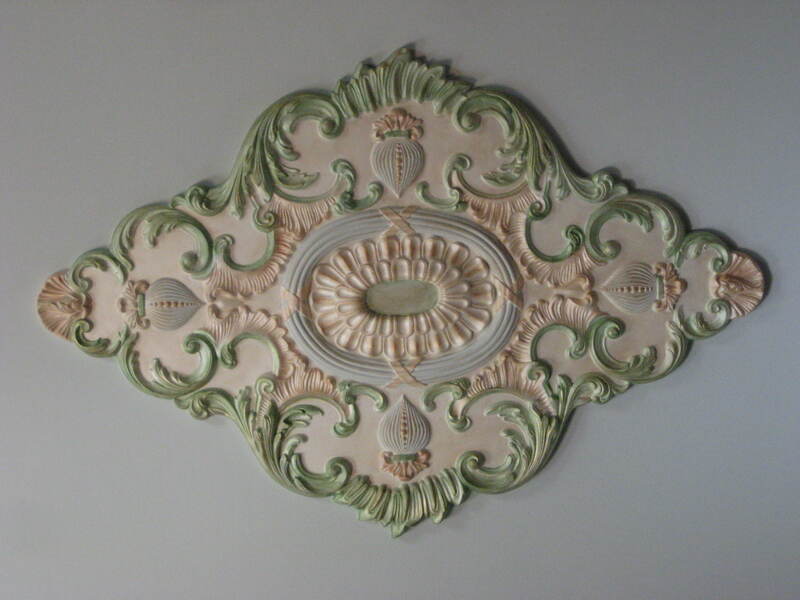 It was as if the layers of plaster took on a pearlized finish, the soft shade was so alluring. We did this finish in two days, the first day we taped off the ceiling and moldings. 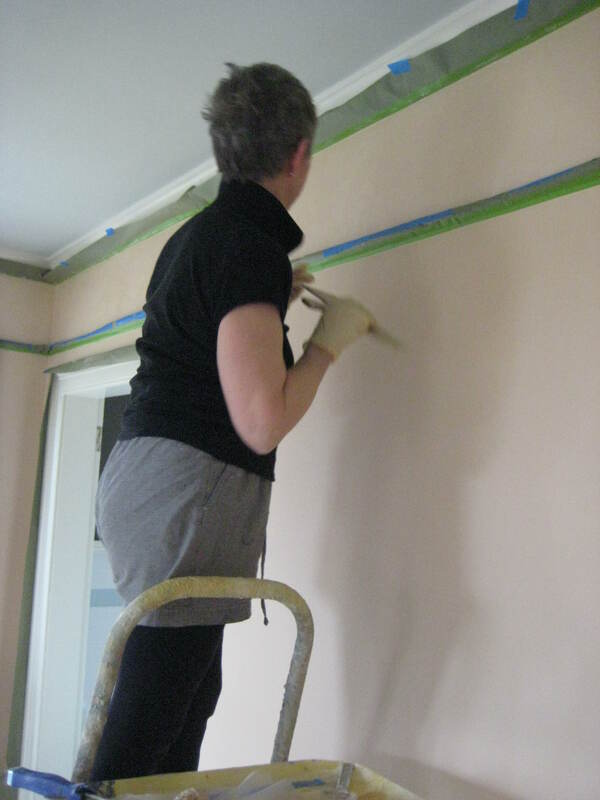 The tools we used were a textured roller and trowel. Once we applied the luster stone onto the wall we used a trowel to tight trowel off the product and create a smooth textured look. It was all coming together, loved the Gray Cashmere on the ceiling it was the perfect back drop for the ceiling medallion… we were ready for draperies and furnishings!! 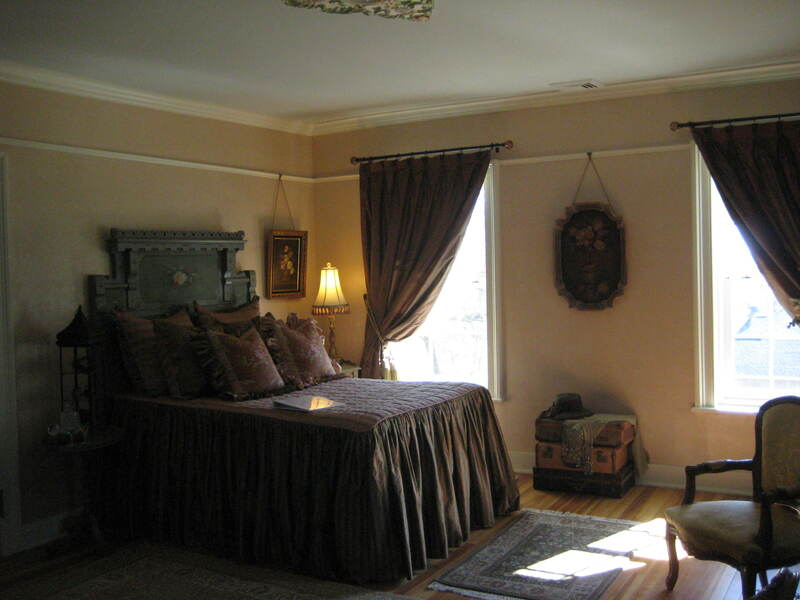 Finding a Bed for this room was a passion, I was looking for a focal point in the design, this piece of history from the Civil War, belonged in this house and was perfect for the Guest Room! The story behind this bed was quite interesting. Circa 1861, this hand painted bedroom set includes: Bureau that has a mirror, night table and two chairs. This set was made in Sudbury Massachusetts by a resident (Smith) who was leaving to fight in the civil war. He left the set for his daughter to paint while he was gone, which she completed flawlessly. 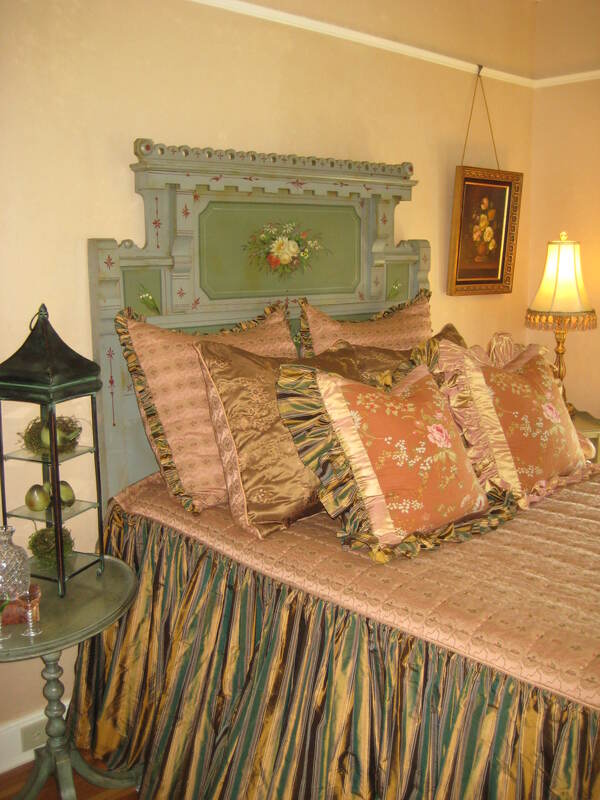 The floral painting on the head board was fabulous!!! 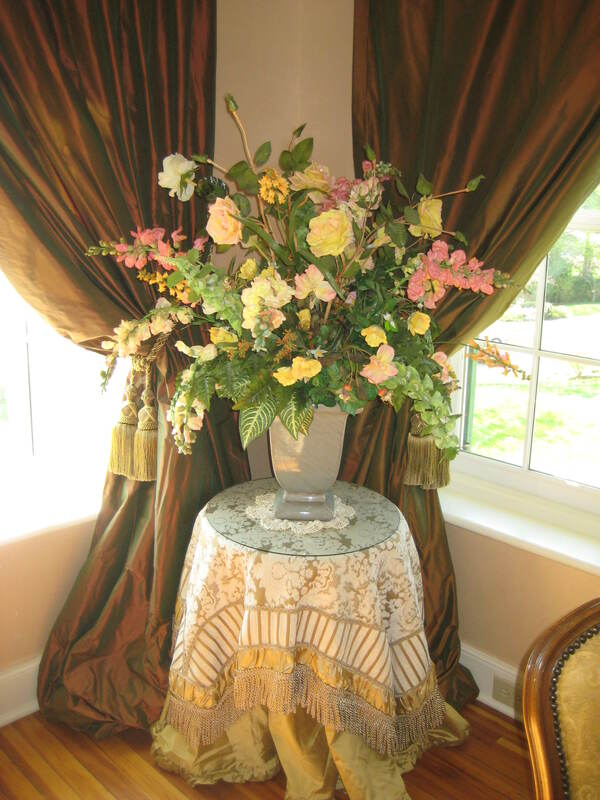 All the pieces to this set have similar hand painted floral arrangements on them, there are roses, lilly of the valley and pansies. Simply exquisite! The families related to this story are Smith (Seneca Smith Chief of Police, Sudbury MA) and Curt Garfield the Sudbury Town Historian. I purchased this from Johanna Withiech in Tenafly NJ. Johanna and Michael brought this up to Albany for showhouse, the bed room set is for sale, I have all the pieces in my possesion, although I only used the headboard in the Guest Room. 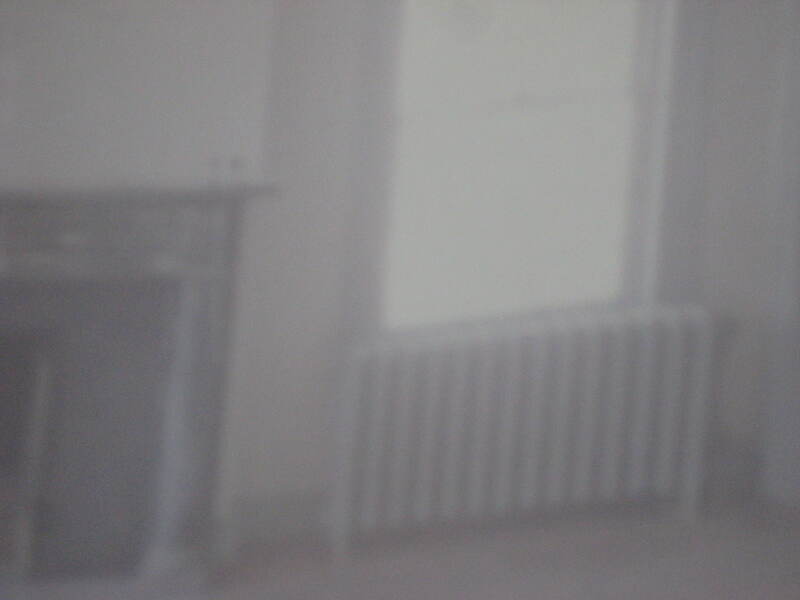 The bureau was worn and the mirror was missing, we didn’t have enough time to have them restored. 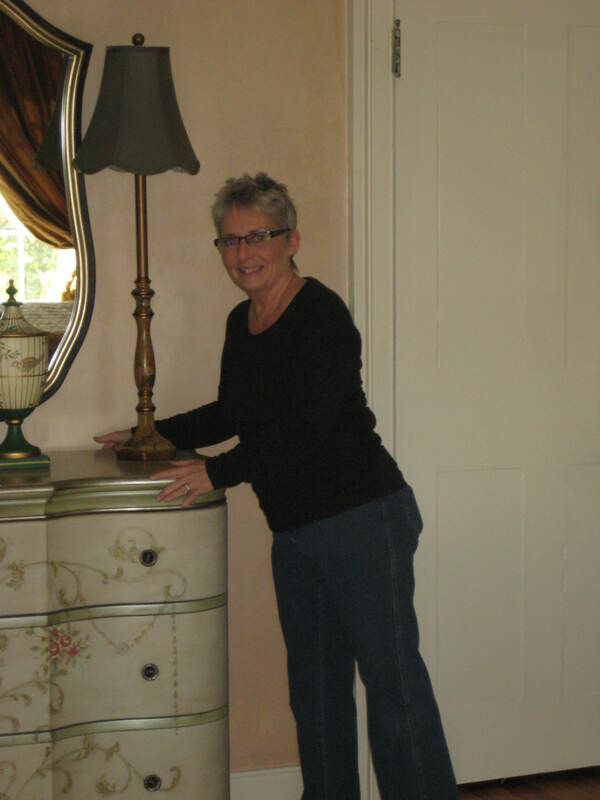 She was happy to have this bed in such a historic Showhouse, and the moment it came off the trailer I knew it was the perfect complement to this room. 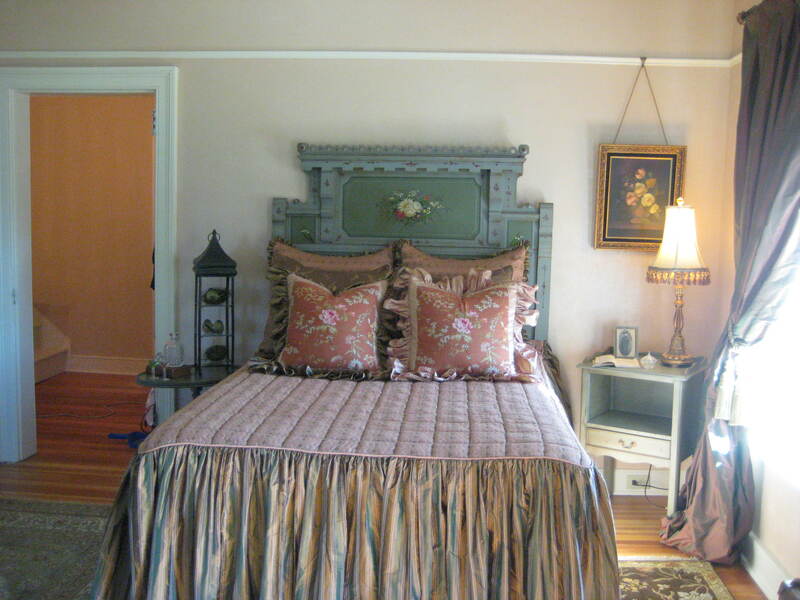 Johanna would like to see this bed room set in a historic home and I would also, please contact me if you know of a historic home that this set could be part of. Thank you to Johanna for her expansive knowledge of the history of this bed and for journey to deliver it. 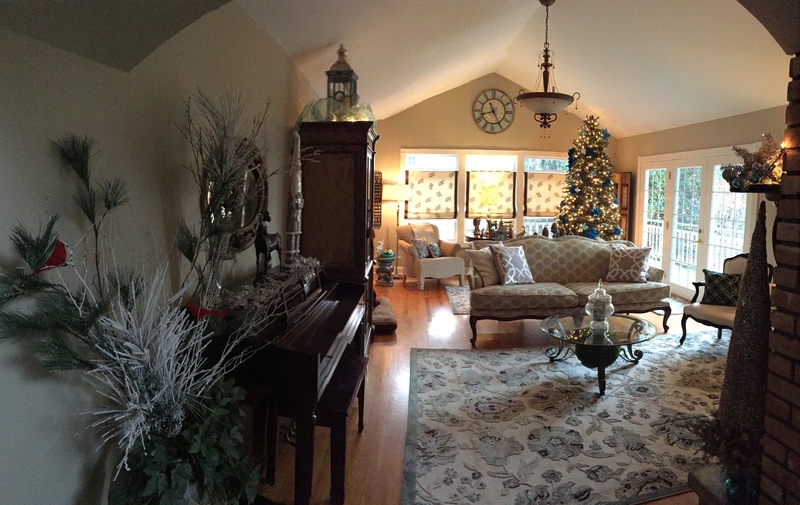 A couple more pictures for you…. I started with thank you and so it seems that it would be appropriate that I would end with the many thank you’s to the people who helped and participated in my space, to the wonderful, Barbara Richer who is always there to answer any question, help with a resource, talk with you and help with any concerns you may have. Barbara was, ever-present , always kind, loyal, caring, sympathetic, reassuring, compassionate, understanding, encouraging, empathetic. Her guidance is so appreciated, her strength is inspiring. To Grace Thomas, who is my friend and supported me through out this project, Mary Beth Johnson, for her enthusiasm and energy, Nancy from Saratoga Signature, for lending me everything I could have needed and more, Debbie from Stockade Imports for her unending support, she was such a tremendous help in pulling everything together, she not only supplied the rugs in this space but many of her own accessories to finish this room! 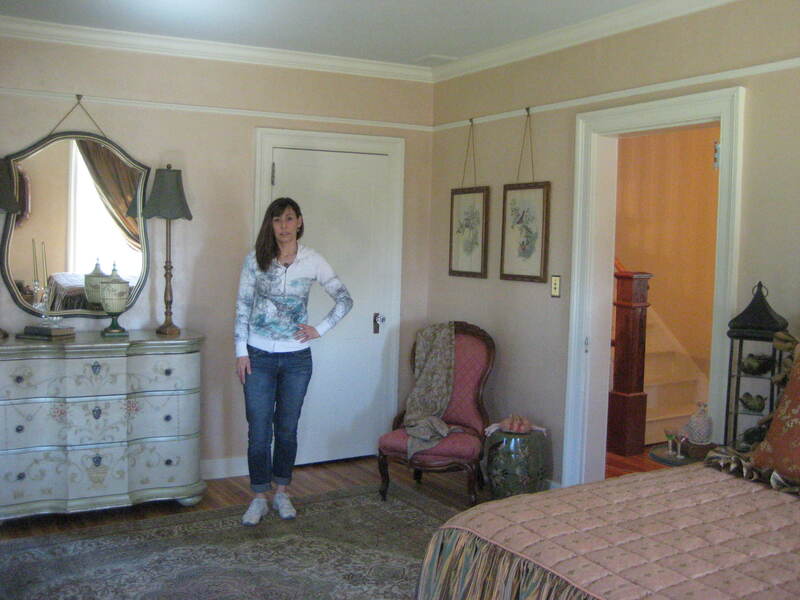 Anna Privitera whose Marshalls trip was so successful, also her help with researching antique beds for this room! Rae Rau for cutting in my medallion when my hands were unsteady. To my wonderful husband for all his support and help with art work and extending his Honey do list, to my room!! ” You are the wind beneath my wings, you might have appeared to go unnoticed, but I’ve got it all here in my heart. I want you to know I know the truth, of course I know it. I would be nothing without you!” I love you… your unwavering support and encouragement that means the world to me! Signing off for now, as always stay tuned……………. Hi Kathy I am not sure which piece you are looking at I would be happy to help with instructions let me know!